The Election Commission (EC) of India has stopped the release of PM Narendra Modi – the biopic on Prime Minister Narendra Modi till the end of the Lok Sabha elections, saying political content in such movies "threaten level playing field". The decision came after the Supreme Court recently dismissed a petition seeking a stay on the movie's release. But right under the election watchdog's nose, a beaming NaMo TV dedicated to covering Modi's speeches and rallies and national television channel Doordarshan showing a 24-hour-long broadcast of the prime minister's 'Main Bhi Chowkidar' event on 31 March, seem to have found their way in reaching out to the public. The NaMo TV has been the focal point of debate over the use or misuse of media by the government at the Centre. 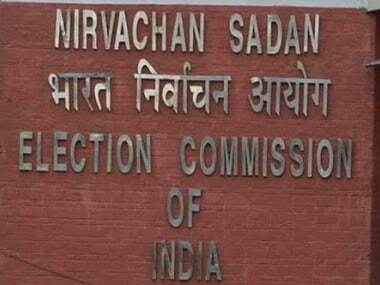 Following complaints raised by the Congress and the Aam Aadmi Party (AAP) against the channel, the EC had sought a reply from the Ministry of Information and Broadcasting on its sudden launch ahead of the elections. In its reply, the information and broadcasting ministry had said that it is not a licensed channel but a direct-to-home (DTH) advertisement platform. Yet, no concrete steps have been taken to stop it. The channel was launched on all DTH platforms on 31 March after the Model Code of Conduct came into effect. 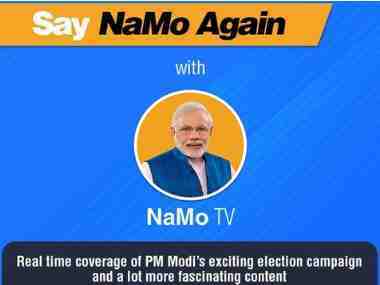 It is a televised version of the NaMo app, devoted to covering the prime minister's speeches and rallies. Not surprisingly, both Modi and the BJP's official Twitter account have promoted NaMo TV, even as there is no clarity on who owns it. The channel, which has Modi's photo as its logo, also runs a live stream of compilations of his speeches. The Indian Express has reported how the channel continued to beam inside households in poll-bound constituencies even as election silence kicked in on Tuesday evening for the first phase of voting on 11 April. The report also states that the EC has decided to add expenses incurred on advertising on NaMo TV to the saffron party's expenditure account for the elections. The poll panel had, rather mildly, also chided Doordarshan for not giving a balanced coverage to all political parties after the announcement of elections on 10 March. In a letter to the Information and Broadcasting Ministry, the EC on Tuesday asked it to direct DD News from "desisting" any preferential coverage to a particular party. In its reply, DD News reportedly said that the BJP was given maximum time on its news slot, followed by the Congress since the announcement of the polls. Complaints, criticisms against NaMo TV have also been going on for several days now finally prompting the EC to direct the Delhi chief electoral officer to get its contents pre-verified by the media certification and monitoring committee. That there remains concerns about the EC's ability in enforcing the Model Code of Conduct on political parties, more so on the party in power at the Centre, can be gauged from the fact that a group of former bureaucrats had written to President Ram Nath Kovind expressing distress over the ruling party's "blatant" disregard for the Model Code of Conduct. The civil servants, including Najeeb Jung and Shankar Menon, said the EC was suffering from a "crisis of credibility". Perhaps, it's about time the watchdog assure people it ain't a toothless tiger.